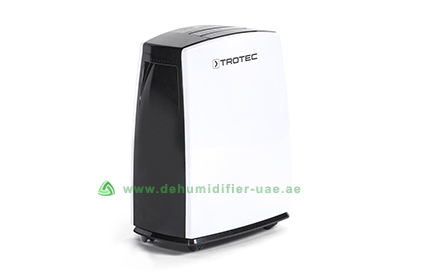 Dubai is a highly humid location due to which Dehumidifiers in homes is a must. Vacker UAE has various models of Portable Dehumidifiers exclusively designed for your homes. These dehumidifiers exhibit stylish looks and produce very low sound which is easy on your ears. 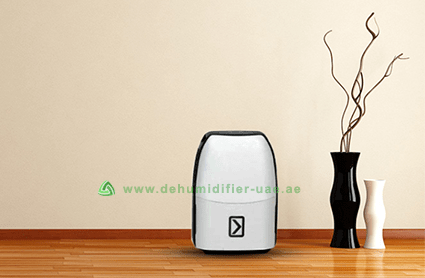 Our Home Dehumidifier Dubai are not only available for Dubai but also for different for various cities of UAE such as Abu Dhabi, Ajman, Fujairah, Ras al-Khaimah, Sharjah, and Umm al-Quwain. There are different advantages of installing a dehumidifier as it decreases the humidity level of a living space. The feeling of constant dampness and stickiness can be quiet irritating for the residents. Different problems due to high humidity can easily be avoided by the installation of different ranges of dehumidifier supplied by our company Vacker UAE. Humidity in general terms means amount of water vapor in the atmosphere. The level of humidity in the air is measured in relative humidity (RH). Generally, high humidity results in increased temperature as well as feeling of constant dampness. Mold formation on walls, fungus development on leather items, damage in the electronic items, etc. are some of the problems created due to high humidity. Also, high humidity can create respiratory problems generally in babies and old people. Humidity problems are seen more often in the basement of a house. A basement is used by people for storage of different items. These items are more often than not, found to damage the stored items hence we provide dehumidifier not only for the living room of your home but also for your basements. We understand that basement needs more powerful dehumidifier than other parts of the house therefore, we have designed our basement dehumidifier according to your requirement. A reliable portable dehumidifier for your home is the Model TTK 40E. This dehumidifier can work in different types of environment and produces very low sound. This dehumidifier is very small in size and hence takes very little space of your living area which is why, it is found to be extremely convenient. Contact Us right now for the installation of dehumidifiers in your home. We provide home delivery service as well as installation service to our clients.